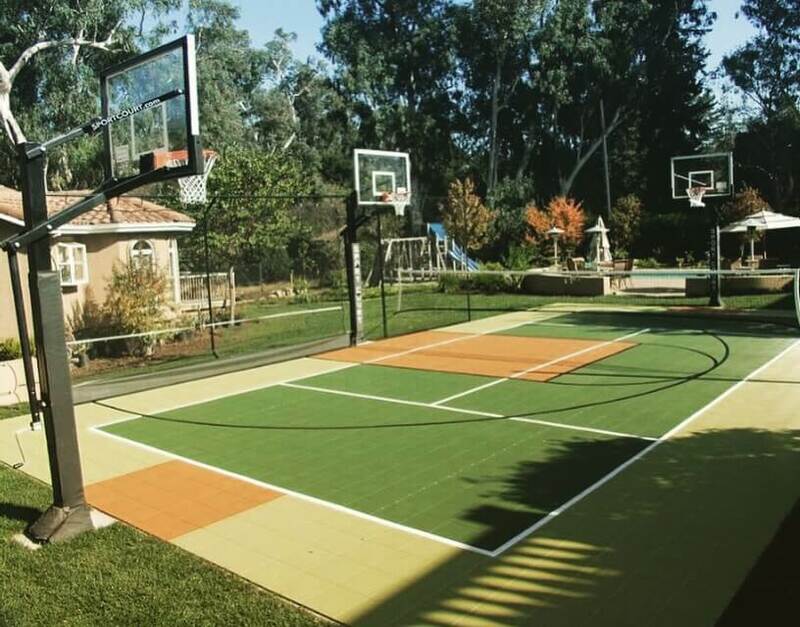 When it comes to building a backyard basketball court, having some design ideas upfront is a good start. There are many factors to take into consideration, for example, existing landscape, orientation, colors, lighting, placement, elevations, and materials. 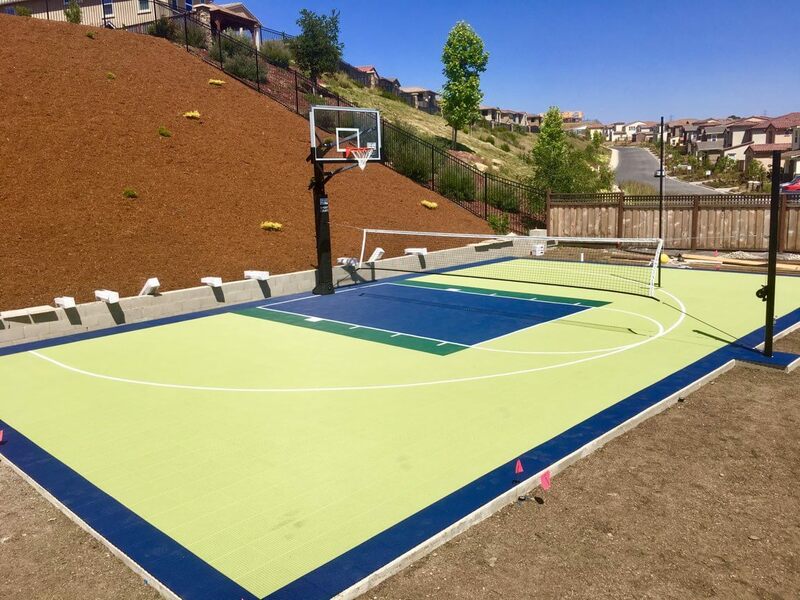 Our design staff has over 40+ years of experience designing backyard basketball courts and Sport Court® multi-sport game courts. It's important we sit down together and review all the options available. Also, if there is a landscape architect involved, we definitely want to be in that conversation as well. 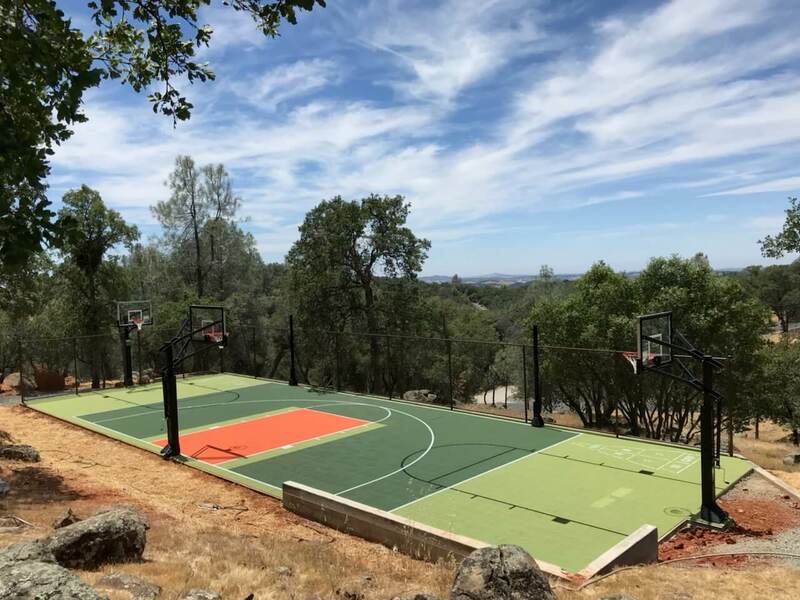 After all, we've built over 25,000 courts in Northern California so we have a bit of experience in this department. 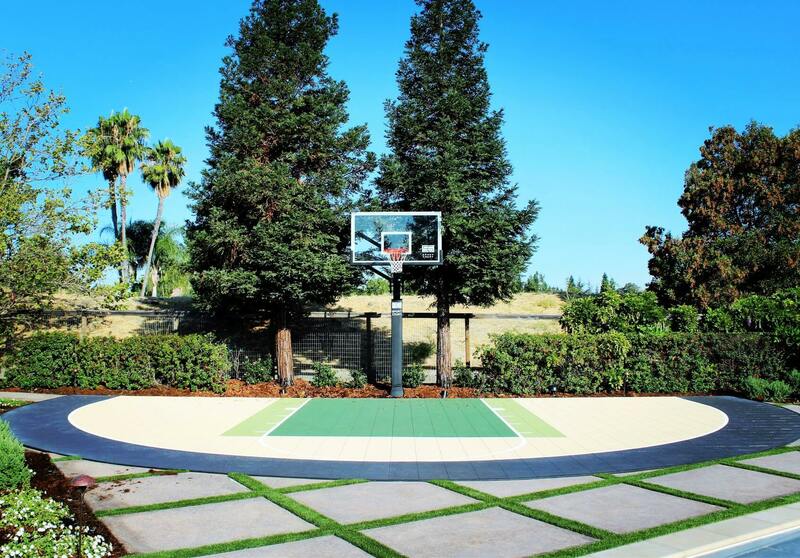 Here are a few of our favorite residential outdoor, backyard basketball court designs that we've completed. Titanium Arc, Sand Court, Green Key and Kiwi NBA Key Extension. 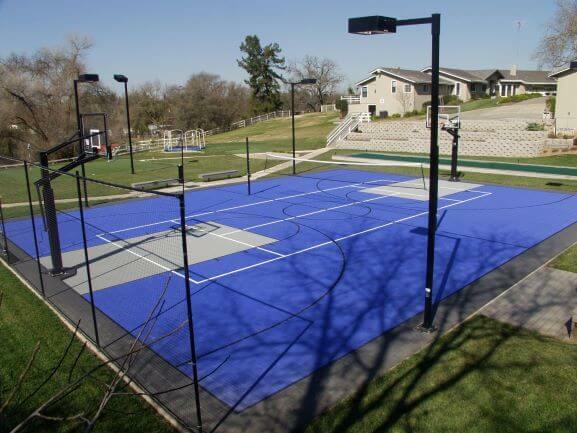 Pickleball & Basketball Court. Rebounder System and Ball Containment Fencing on 2 Sides. Dark Blue Border, Kiwi Court, Dark Blue Key and Green NBA Key Extension. Rebounder, Ball Containment Fencing, Green Court, Kiwi Key and White Lines. LED Lighting. Titanium Border, Blue Court, Granite Key. Black Basketball and White Tennis. Retaining Wall & Brown Containment Fencing. 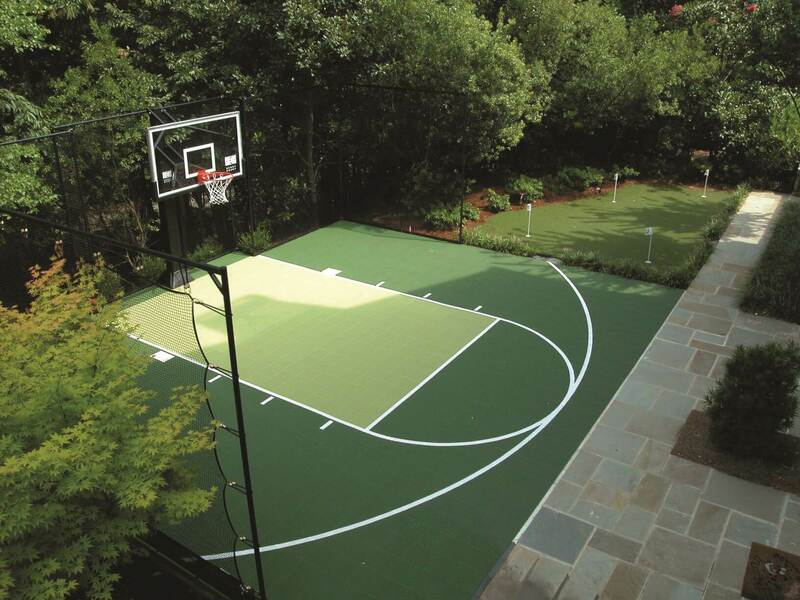 Basketball and Shuffleboard Court. Thanks for reaching out! We will have someone contact you soon to learn more and give you an estimate.